It has been almost a year since my last post on Travels With Princess and Quiquinou. Somehow other blogs and life in general got in the way. This is about to change. Princess and Quiquinou are on a cruise to New Zealand, aboard the Dawn Princess. Funnily enough, we also did the same cruise one year and two weeks ago. Last year we travelled with another couple, and we tested out an interior room, while this year we are travelling as a couple in a balcony stateroom. There will be comparisons of both as well as photographic evidence detailing some of our experiences, which, though similar, will be quite different. And that’s the beauty of cruising; each journey brings with it different memories. Happy cruising! The Dawn Princess awaiting our embarkation at Station Pier, Melbourne. 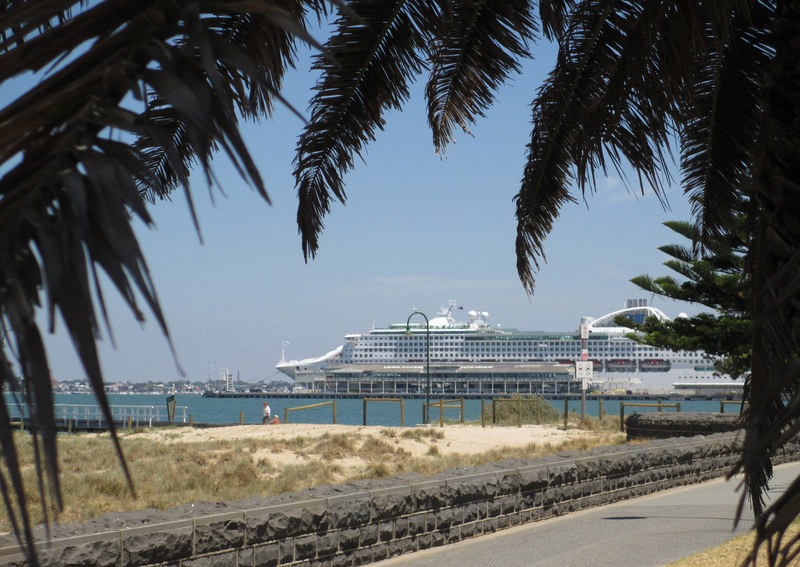 This entry was posted in Accommodation, Cruising, New Zealand, Travel and tagged cruise, Dawn Princess, NZ cruise. Bookmark the permalink.